The first guest hosts and performers for BBC One's new prime time music show have been revealed. 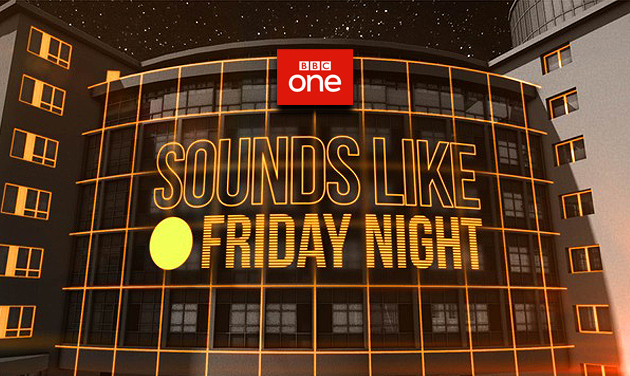 Sounds Like Friday Night begins later this month and is being hailed as the long-awaited replacement to Top of the Pops. Hosted by BBC Radio 1's Official Chart host Greg James and BBC Radio 1 Xtra's breakfast show presenter Dotty, SLFN will see the biggest stars in music take part in interviews, sketches and give live performances. The first series will run for six episodes and starts on October 27 at 7:30pm. The first episode will be co-hosted by Jason Derulo, while Jessie Ware and Charlie Puth will take to the stage. Dave Grohl will also take part in a pre-recorded sketch. Episode 2 will have Liam Payne act as guest host, while Liam Gallagher, plus another artist TBA will perform. It was also confirmed today that Royal Blood have composed and performed Sounds Like Friday Night's theme song. I can do without bloody sketches but at least it's a step in the right direction and the variety of artists sounds good. The sketches were terribly unfunny, too many hosts (who is Dotty?) but the set was good. Shame they only had three performers :-? Definitely will just watch the performances on YouTube the next day. I didn’t watch it but I think it’s the wrong sort of music show nowadays. This would have been cringe even 10 years ago. I think it’s right to utilise Q4 as that’s when most acts are out promoting, but imo the BBC should do something more along the lines of a continuous series of 30 minutes specials that focus on one artist per week, which is a combination of 1 on 1 between 3 live performances (of which 2 are new and 1 classic). If it wasn’t based in one studio, but able to travel to an artist they could get all sorts of people. I think it was a step backwards for the BBC. It was like a not very good version of Ready Steady Go. The Dave Growl sketch was so stupid. So they didn't want Top of The Pops, but the audience were clearly from TOTP making "ooh" sounds at the slightest movement. The presenters seemed awkward as though it was a live show and they were watching the camera cues. Can see it being cancelled very quick. Liam Payne has the personality of a dead tree, everything is "amazing". At least they increased the number of performances this week which made it seem more like a proper music show but there was a distinct lack of atmosphere. Crowds used to be much more fun, especially the CD:UK ones! Much better last show, felt the closest to TOTP yet with the scrapping of the sketches and having more performances in quick succession - plus a good mix of acts! If they could stick to that format I could become a fan, it returns in Spring. This is down to return next Friday with performances from Meghan Trainor, George Ezra, 5SOS and Jorja Smith. I hope Meghan gets a boost! The show really improved in this series - more performances, good mix of guests for differing audiences, less Dotty and the performance above shows how it can feel like TOTP at times.